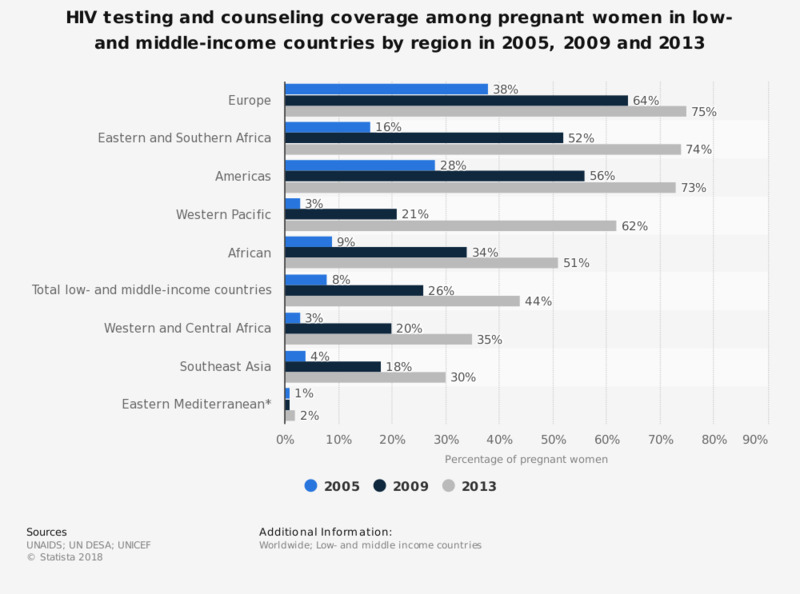 This statistic depicts the estimated HIV testing and counseling coverage among pregnant women in low- and middle-income countries by WHO regions in 2005, 2009, and 2013. In 2009, testing and counseling coverage for these women was at 52 percent in Eastern and Southern Africa. The coverage and quality of HIV treatments have improved. Many types of effective interventions are currently available and have helped to lower the incidence rate of HIV among adults and children. * Figures stated as "1" depict coverage of less than 1 percent. Statistics on "Global HIV/AIDS epidemic"